Y’see, each of the DC superheroes has their strengths and weaknesses — some physical, other personality — but those downsides are what make the characters so interesting. And Aquaman? 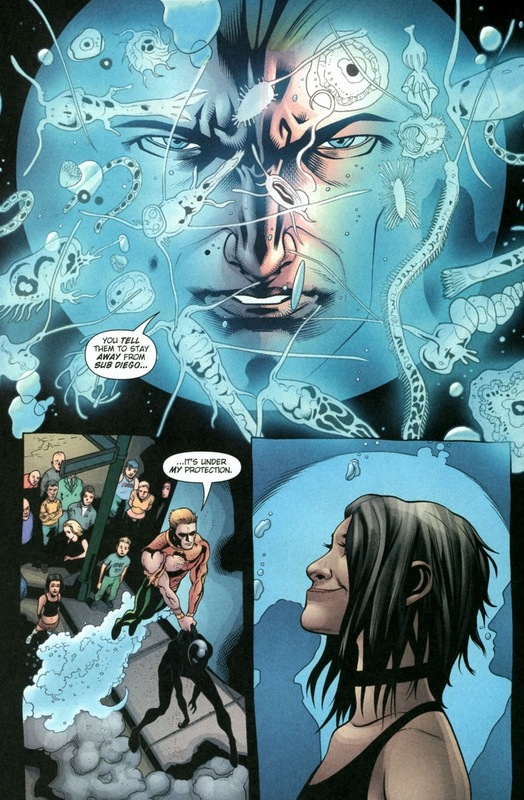 So maybe he’s not so great to plop down in the Middle East, but may the DC gods and goddesses help whoever decides to challenge him in the ocean. 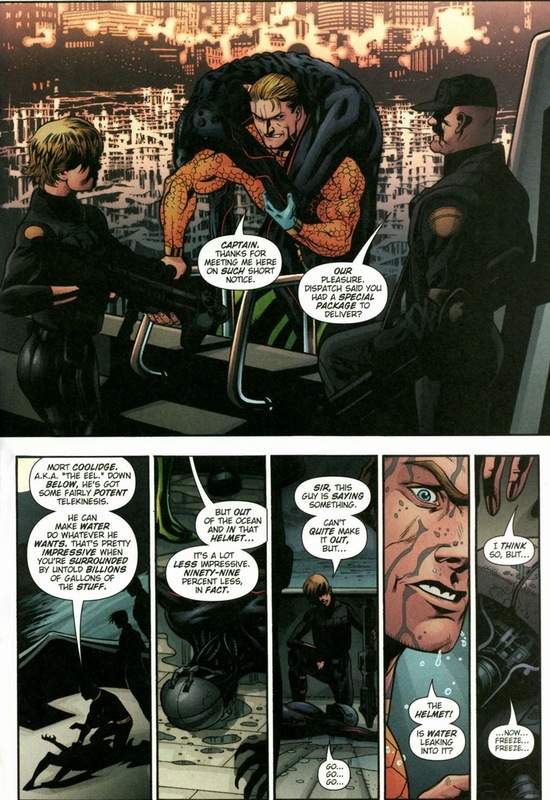 The supervillain Eel learns this lesson the hard way today in Aquaman #21-22, volume six, written by Will Pfeifer and drawn by Patrick Gleason. 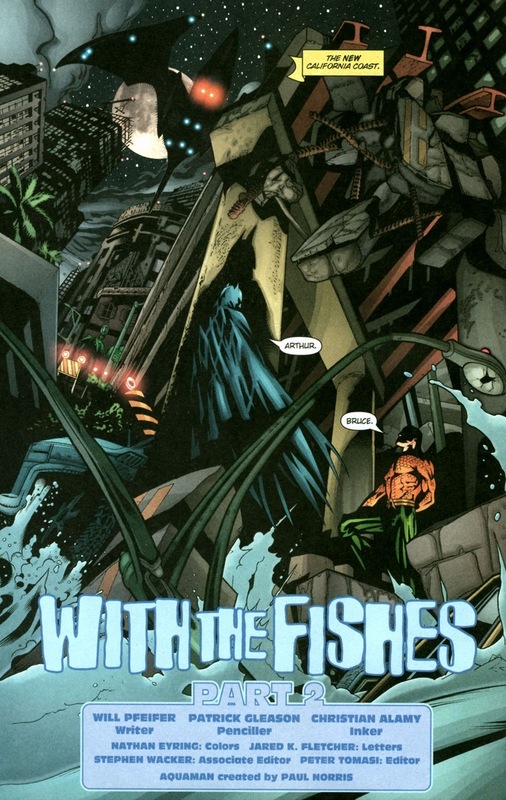 So currently, Aquaman patrols the city known as Sub Diego. It’s part of San Diego when an earthquake submerged half of it and all of a sudden its inhabitants could breathe in water and no longer breathe air on the surface. You can read an old article I wrote on it for more details. 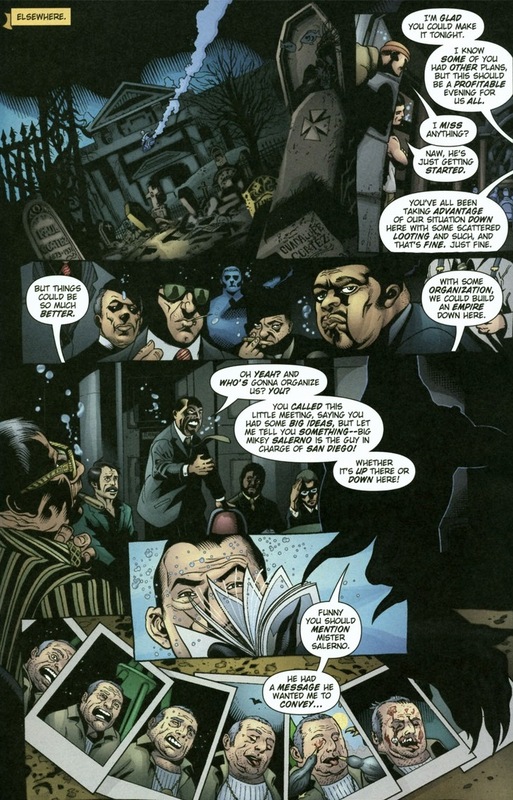 But much like all other great DC cities, the mobsters, criminals, and supervillains still make their home there — even if they now live underwater. 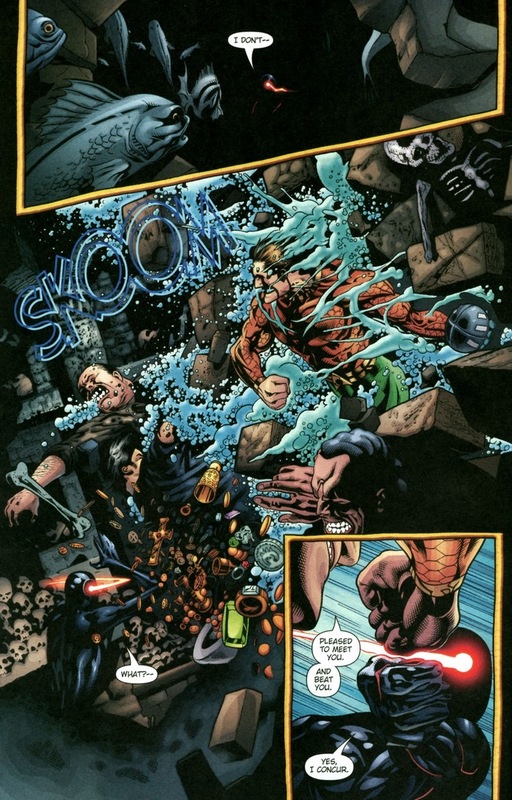 Time for Aquaman to show these baddies who they’re dealing with (spoiler alert: Aquaman). I’m not saying that a killer whale makes for a better sidekick than, say, Robin, but Hollywood did make four Free Willy movies. 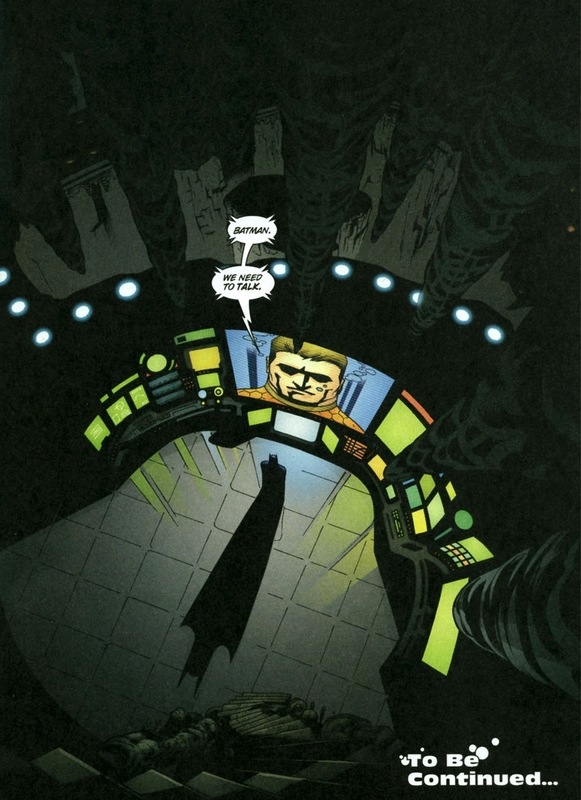 So let’s consider Sub Diego simply a wetter Gotham City. 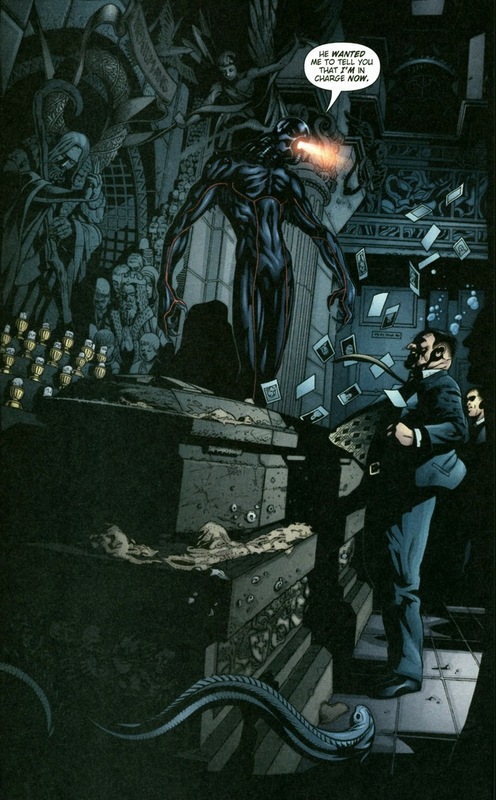 They even have their very own criminal mastermind, out to take control of the city’s underworld (though isn’t everything sort of considered the underworld now?). 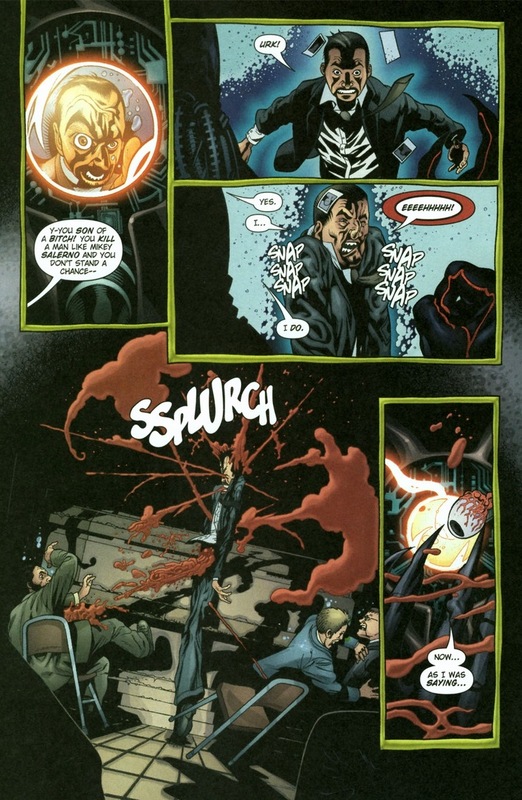 Meet Eel (real name Mortimer Coolidge), a telekinetic so insignificant that he only appears in six issues total. Three of those are alternative reality Flashpoint issues, so they don’t even count towards canon. But despite his lousy future, he’s still full of delightful supervillainy ambition. 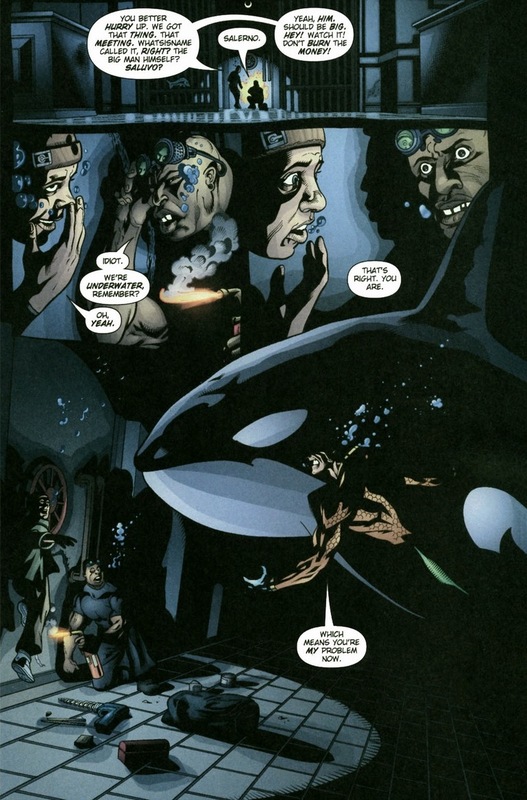 When Aquaman has to face the new head of Sub Diego’s mafia — an experience he probably didn’t have to face often in Atlantis — who does he turn to? 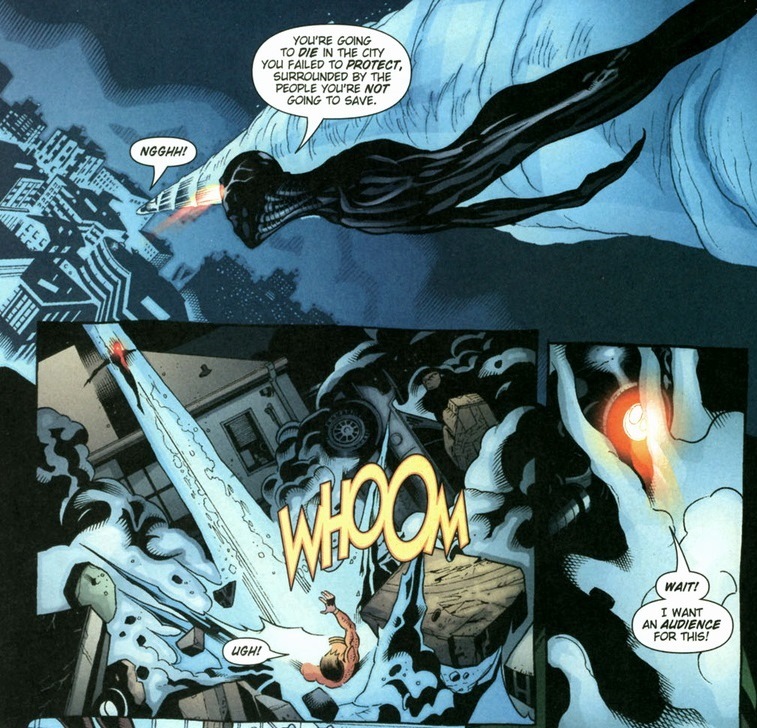 Who in the DC universe has fought mobsters more times than Superman’s saved Lois? And it’s a bunch, because she falls out of a lot of buildings. 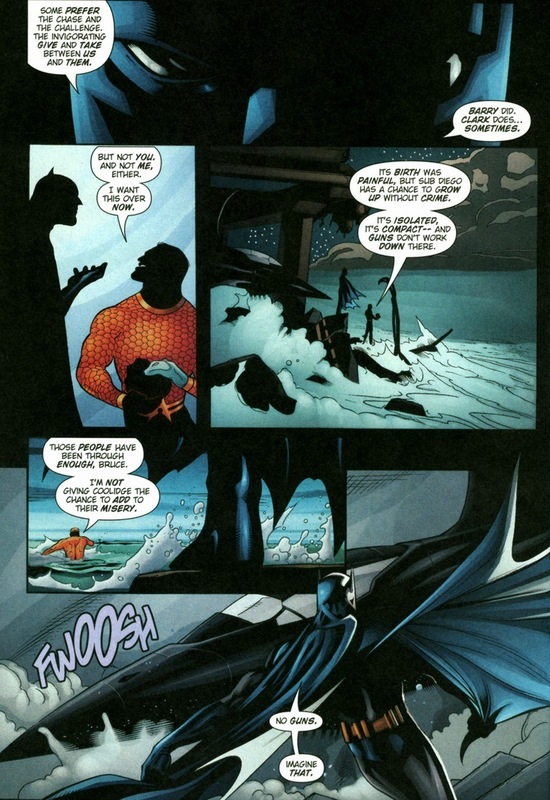 Aquaman turns to the only other humorless member of the Justice League who, unlike Aquaman, cannot ride his sidekick. 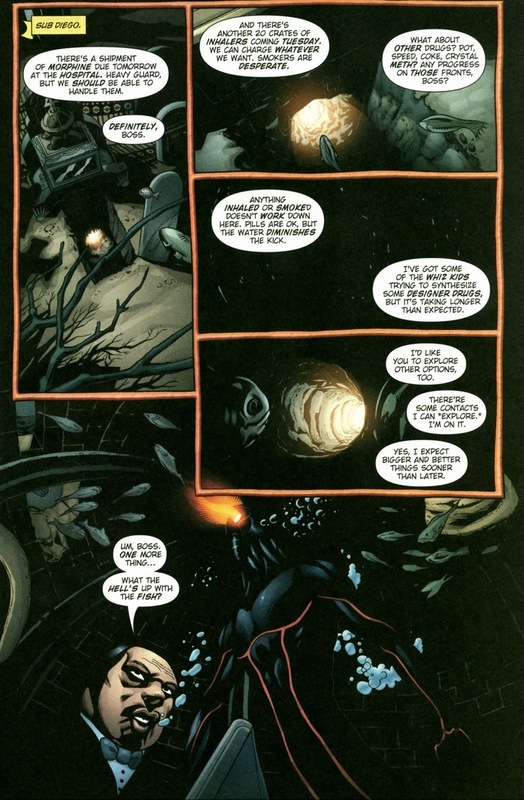 Eel’s telekinesis only works around water, but when the local superhero bursts through walls like a fishy Kool-Aid man, what chance does Eel possible have? 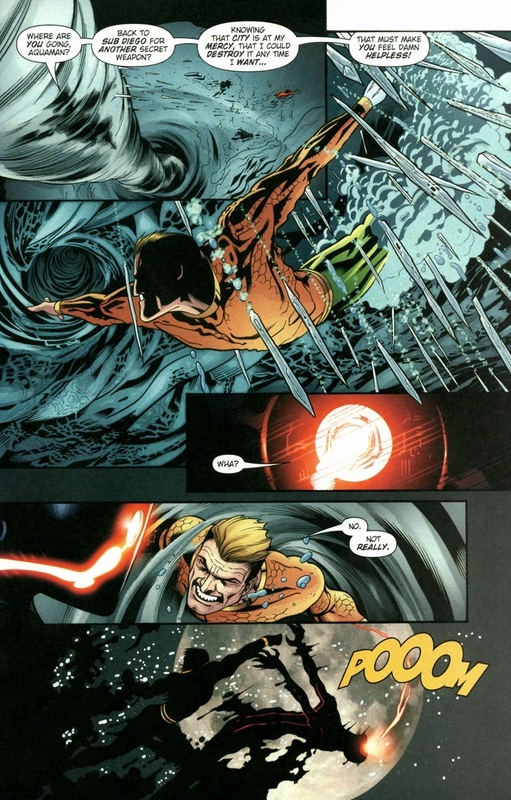 On that note, our dear Aquaman makes the mistake all good superheroes do once in a while: he underestimates his opponent. Mainly because what type of fight would this be if it’s over in a single page? Round two, my friends. Despite Coolidge’s second wind, his opponent wildly outclasses him. Since I already shamelessly plugged another one of my articles earlier, have you read the article I wrote on mismatched superhero battles? I should tell you that my self-esteem relies entirely on my blog’s hit count. 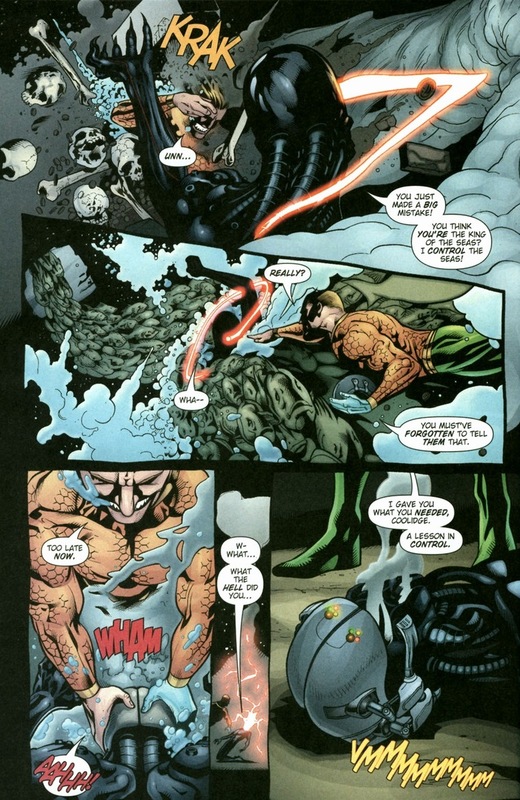 Oh yeah, and Aquaman pounds on Eel. 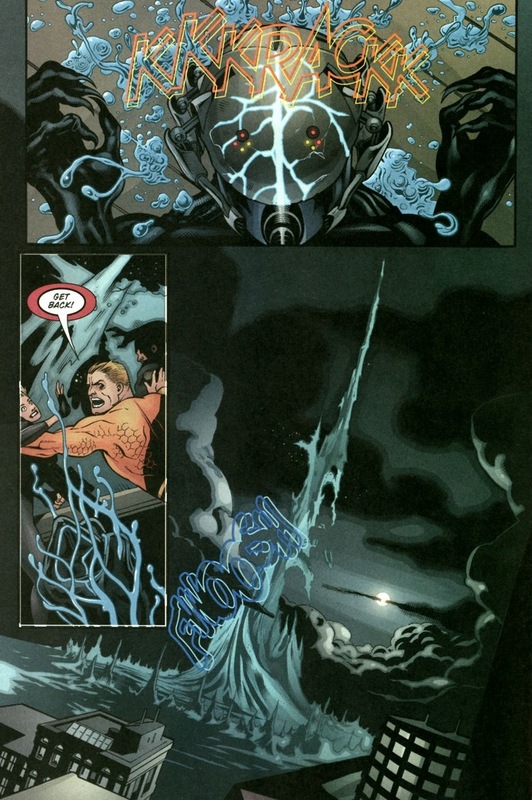 Look, all these other pages still likely hasn’t convinced you of Aquaman’s water superiority. It’s just a normal fistfight at this point. 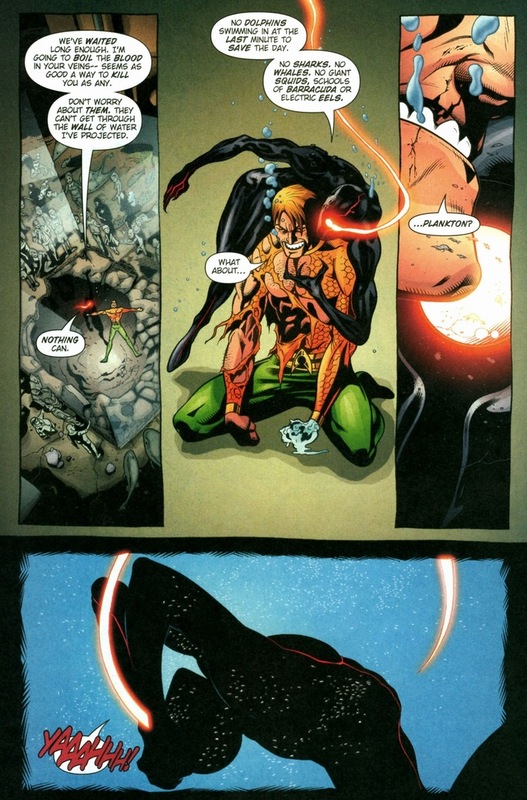 But y’see, Aquaman can’t lose. Like he had the fight wrapped up from the moment Eel dropped into the water way back in Sub Diego’s origins. We’re in Aquaman’s house, and his house is disgusting. I hope Batman’s taking notes. That plankton thing was genius. If they put the Eel in jail, they would have to keep power dampers on him at all times, since the human body is over 75% water and water is all around us in the air as moisture. 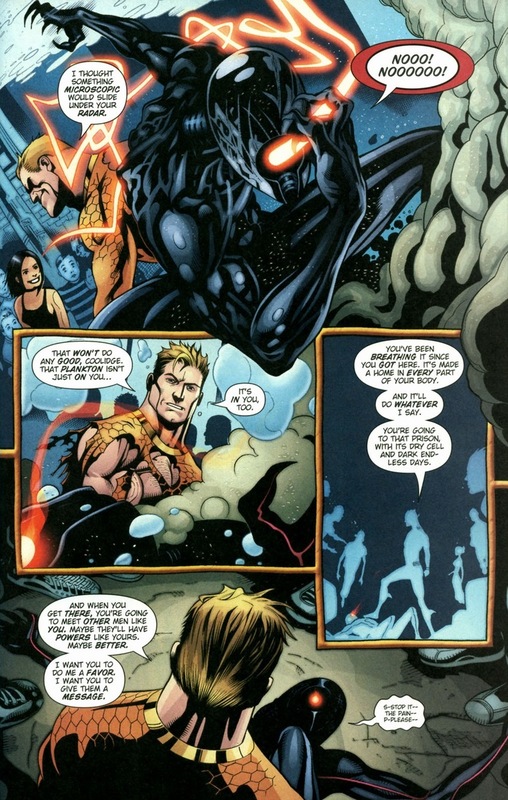 Try as they might, they just couldn’t make Aquaman cool. He didn’t beat “the Eel”, he called for help from the guy that SpongeBob manages to beat week after week… Tragic. The coolest Arthur has ever been is in his own title since New52 began (who would have thought I would ever say something good came out of New52?) 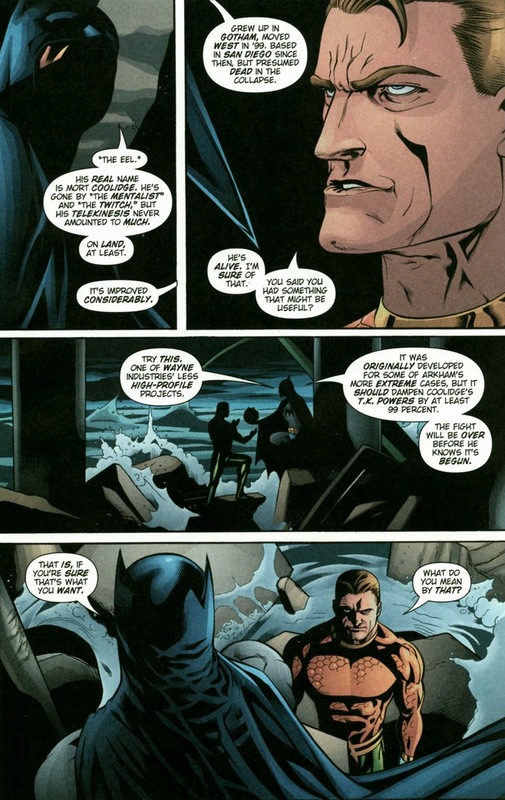 and his appearances in Morrison’s JLA and the WB’s Justice League cartoon. The long hair, the beard, the hook for a hand. My girlfriend and I have taken to calling that version “Fish-Harley Aquaman”, the biker king of the seas. You can kind of picture it too, him on a big seahorse, riding the currents to the next big adventure. 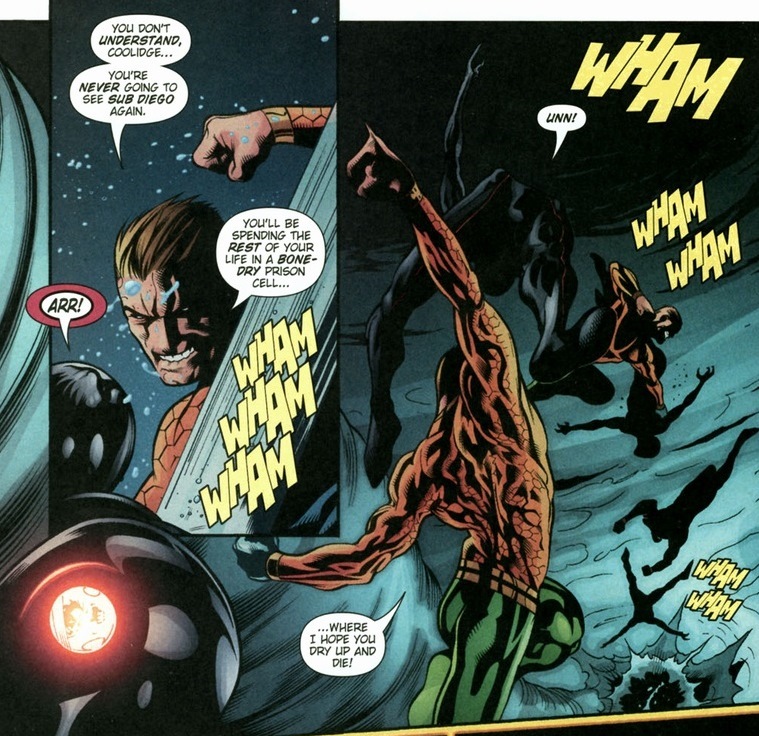 Not saying much, but laying the smack when needed, Aqualad and Mera would be like his gang, the Sons of Anark-Sea….